Do you represent a Nevada State Government Agency and wondering how you should archive all your web and social media content? Are you trying to determine what you need to do both from a legal and a technical point of view? Here’s a guide to the different Laws and processes you should follow. What Laws govern Records Management in the State of Nevada? Open Records Law N.R.S. 239 et seq. (balancing privacy issues with public interest) and Open Meetings Law N.R.S. 241 et seq. govern open records law in the state of Nevada covering state, county and municipal records. The aim of Nevada Open Records Law to balance democratic principles by providing access to records to members of the public to the extent permitted by law. 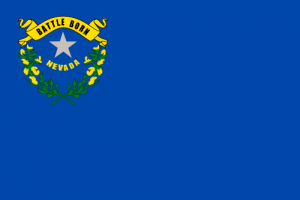 Do Nevada State Records Laws include Website and Social Media content? Yes, they do. NARA state that that is a “[P]ublic expectation that all web content is both permanently valuable and accessible” – and so social media and web records are subject to these standards as well as the relevant metadata being pertinent to these laws. All Agencies of the Executive Department are subject to these provisions, and “Agency of the Executive Department” means an agency, board, commission, bureau, council, department, division, authority or other unit of the Executive Department of the State Government. The State Library and Archives Administrator has a separate role and must adopt regulations and establish standards, procedures and techniques for the effective management of records. He or she must also make continuing surveys of current practices for the management of records and recommend improvements in those practices, including the use of space, equipment and supplies to create, maintain and store records – this is especially important in the context of electronic and digital records. Agencies are responsible for making certain all of their records, regardless of format, are properly retained and remain accessible during their entire retention period. Your agency website must be retained in electronic format and remain usable, searchable, retrievable and authentic for the length of the designated retention period as established by the agency and/ or form of record in question and content placed on state agency social media should be moderated by an authorized, trained staff member. All records must be stored in a secure and stable environment that will protect them from alteration, damage, and degradation. How can we transfer website archives made with PageFreezer to the Nevada State Digital Archives? PageFreezer exports all data on request in the original file format including the required metadata. This data set can be transferred by FTP or by other means to the Nevada State or Agency Digital Archives.